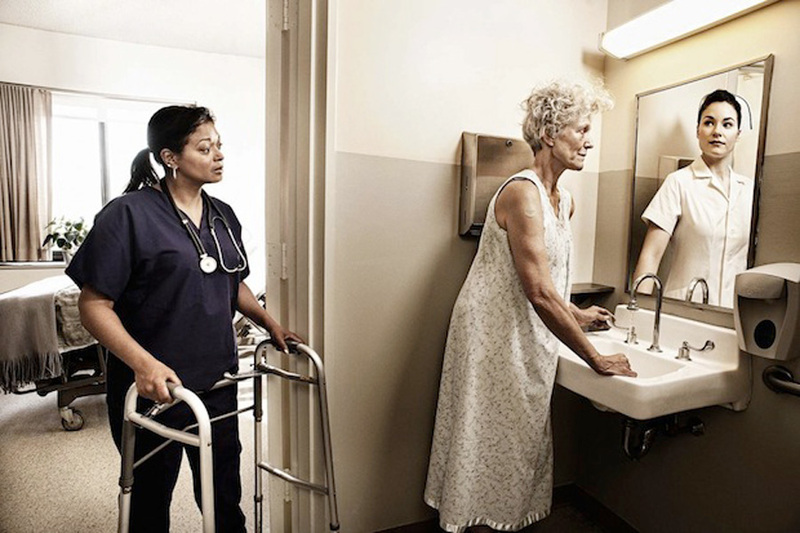 In our lifetime most of us have been close to a grandparent or even an elderly neighbor and have seen them grow to be tired, wrinkled, and frail and it is not an easy thing to watch. One thing that was and still is a treat for me, is to hear the stories from the members of the greatest generation and to leaf through photo albums and read letters from their youth, to get some true insight on the person not just the “legend” if you will. I have seen many people look at those old, fading photographs of themselves and the gleam in their eyes as they fondly remember the good old days. 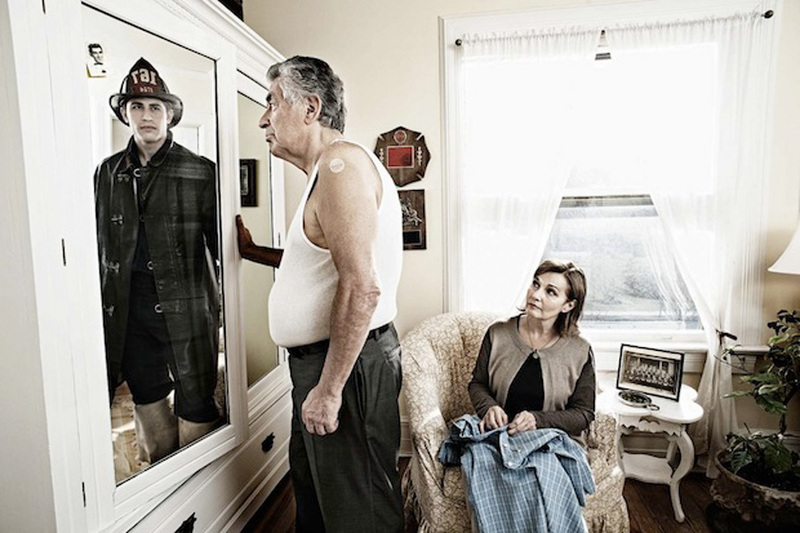 I think that is why many people will find the collection “ Reflections” by Dallas-based photographer Tom Hussey to be sobering and poignant. 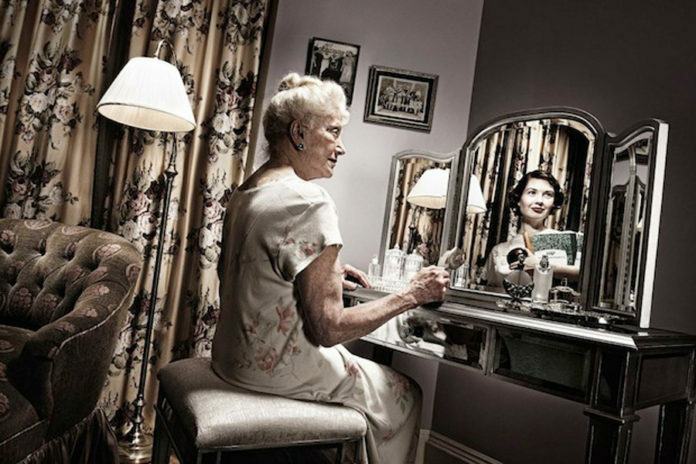 We see many beautiful photos in this series of people “looking back” at their former-selves. The angles and lighting is breathtaking but the meaning behind it all is even more so. The second being “Old age ain’t no place for sissies.” Bette Davis. It was said that she had that message embroidered onto a throw pillow. 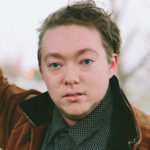 When Tom Hussy was asked about the series and what the inspiration was he had this to say:“I don’t care how old you are, when you look into a mirror, you think of yourself as younger than you are. You have a memory of a time in your life that was pivotal — be it when you got your drivers license, your senior year in High School, or maybe the year you married. 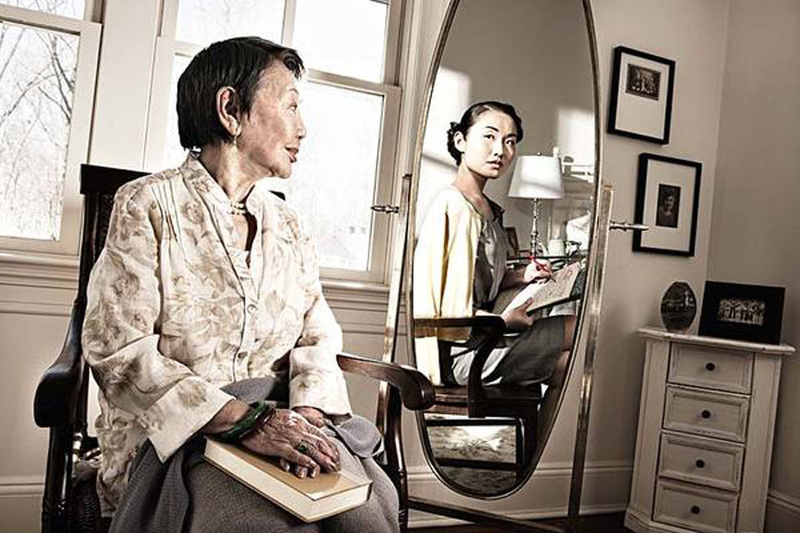 The “Reflections” advertising campaign was based on a portfolio shoot I made to illustrate this thought. The idea hit me as I was talking with a WWII veteran named Gardner about his life experiences. He was about to celebrate his 80th birthday. He commented that he didn’t understand how he could be 80 years old as he felt he was still a young man. He just didn’t feel it was possible he could be 80 years old. I started thinking about a milestone age approaching for me, as I was nearing 40. 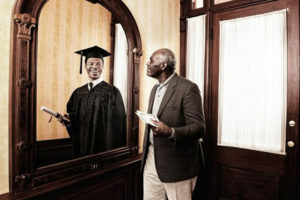 I realized that everyone thinks of themselves at a certain age or time in life. 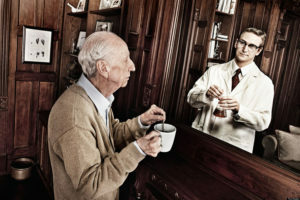 Based on that conversation, I built a bathroom set and photographed Gardner staring into his bathroom mirror and seeing himself as a 25-year-old young man. I used the resulting image of Gardner as my Workbook ad that year. I was fortunate to be included in a lot of the early concept stages for the campaign. I knew immediately location scouting and casting were going to be very important to evoke the emotions associated with the disease. The campaign has been extremely successful for the promotion of the brand and people universally responded to the images. After we shot the campaign, the images went into testing and legal review. They were so well received that the images, all 10 of them, were printed full-page in the brochures and other collateral. The whole project was a great experience — working with great people at the ad agency, the client, and with a great crew.”Some years later, an ad agency in New York City used my Workbook ad as a concept. Based on that earlier portfolio image, I was awarded a job for an Alzheimer’s drug called the Exelon Patch made by Novartis. The Exelon Patch helps patients maintain long-term memories during the early stages of that horrific disease.